By overwhelming demand, Diana Ross returns to the Encore Theater for nine new performances from October 31 through November 17. Known as one of the world’s greatest entertainers—an inductee of the Rock & Roll Hall of Fame and the recipient of a GRAMMY Lifetime Achievement Award—Ms. Ross selected songs from her vast and historic music catalogue specifically for this exclusive engagement at Wynn. Each evening will celebrate her enduring collection of award-winning songs, albums and timeless inspiration to millions of fans across the world, and promises to be an experience fans will never forget. The Diana Ross Las Vegas tour is titled so because it is true, some memories never fade. We still picture a younger Diana Ross belting out great tunes with the likes of Lionel Richie and making memories for a lifetime. The tour title is very appropriate, reiterating the never fading appeal of the icon.Her shows are always sold out, acting as a reminder to the younger generation of musicians how good it is to be authentic and to make music that resonates with the masses. After all the years in the industry, she does better than some of the musicians who have released albums as recently as last year. Her Las Vegas show will take the audiences down memory lane as they enjoy some of the best love songs performed by the trendsetting artist. It will be a chance to sing along to her love ballads that most of her fans have memorized word for word. Most of her songs are about love and there is no better way to make memories that never fade other than through love songs. She is truly an icon. 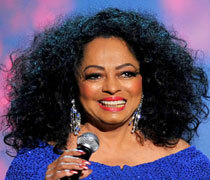 The concert in Vegas this year will see Diana Ross return to the home of live shows one more time. She is no stranger to live performances in Las Vegas and she returns to give the adoring fans what they've been missing for all that time she's been away. She joins the list of other great divas who have visited Las Vegas for live performances before. In short, she is no stranger to this town and will give the fans exactly what they expect from her. If you have had the opportunity to listen to any of Diana Ross's music, then you are quite aware of her vocal range and the powerful performances she can deliver. The star is the epitome of true singing talent and she does not disappoint. In this day and age when many artists rely on technology to hit the perfect notes, she does it oh so naturally. Don't expect lip syncing in any of her concerts. If you paid to attend a live performance show, that is exactly what you will get when you attend her Las Vegas concert. She will sing and the audience will definitely witness the power of her voice. Diana Ross has not released new records in a very long time and that means people have had the time to master her old hits. Her love songs are quite easy to sing along to and if you want a great concert where you can sing your heart out then this is the best one to attend. Have fun while you dance to her greatest hits while singing along to the lyrics and at the same time making memories that never fade. The Diana Ross Las Vegas concert should be quite an experience for anyone who attends. For a music career that runs close to five decades, you can never be short of great hits to sing along to. It only shows how legendary she is. The Diana Ross Las Vegas concert spans a period of several days. There is a show happening on Wednesday November 18th, the other on Friday November 20th and the final one on Saturday November 21st. All her shows start at 8.00 p.m local time. The concert will be held at the Venetian Theater which has lined up a nine-show extravaganza featuring the iconic star. Often described as the original diva, Diana Ross will get to showcase her commanding stage presence by belting out some of her biggest hits. The Diana Ross live in concert Vegas tickets can be purchased from us at a great price. Diana Ross has a charitable foundation and so one dollar will be taken from every ticket sale and donated to the Diana Ross Charitable Foundation. It's like killing two birds with one stone; attending a great music concert while still supporting a good cause. This is therefore a concert that every Diana Ross fan should strive to attend. The Diana Ross Las Vegas concert promises to be a great experience for anyone who loves music and grew up listening to the iconic star. Some of the greatest music that was made in the 70s and 80s came from her and it's always quite an experience to listen to a legendary singer like her perform live. So if you want to sing along to great love ballads and make memories that never fade, this is a must attend concert for you. It's also an opportunity to experience authentic live singing, something that many performers these days cannot quite manage.